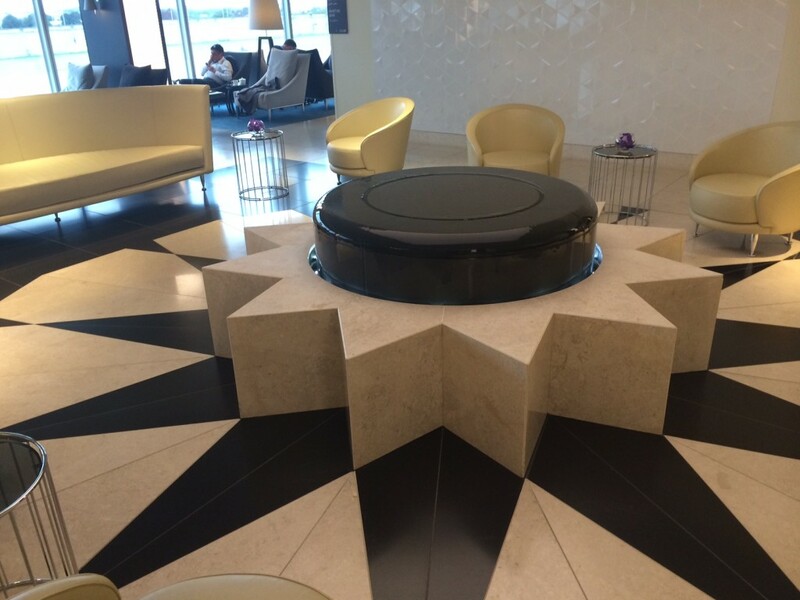 Is the Qatar Airways Premium Lounge the classiest in Heathrow? 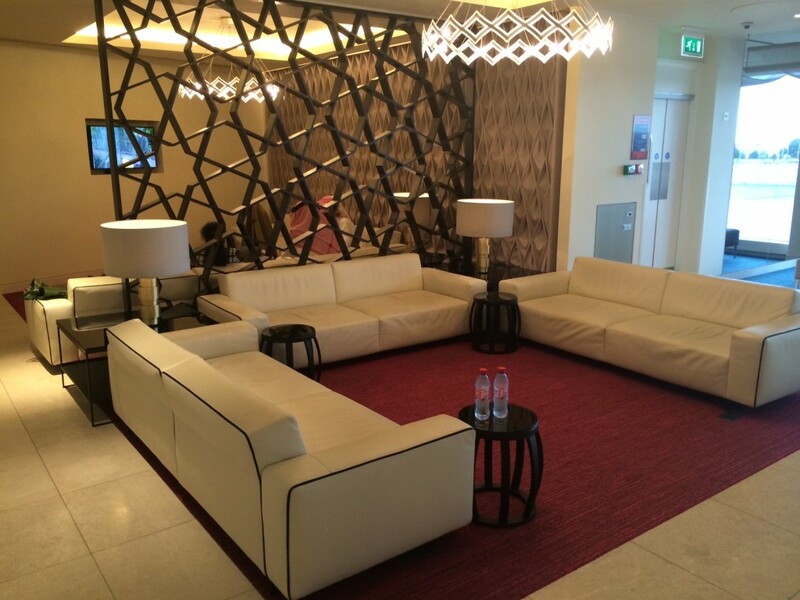 This is my review of the Qatar Airways Premium Lounge in London Heathrow Terminal 4. 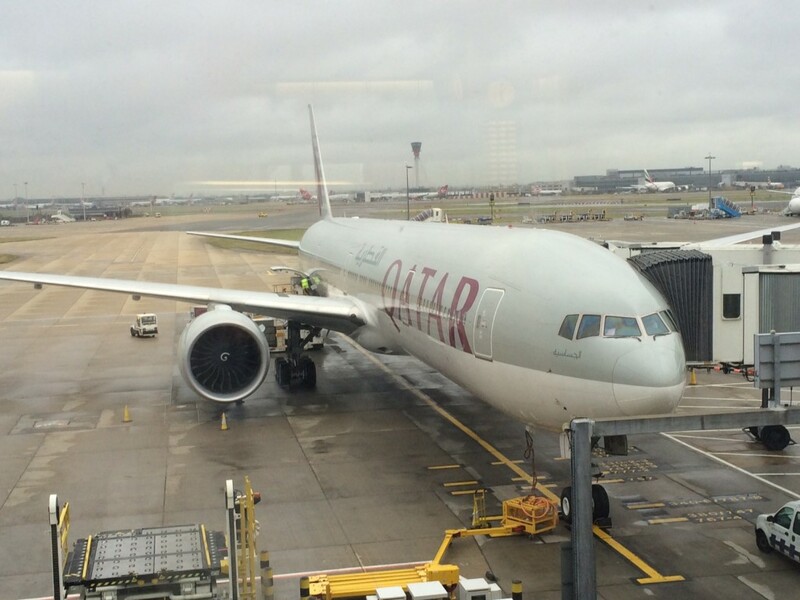 My trip to Doha began with a trip to Heathrow Terminal 4. This was the first time I have visited since Terminal 5 opened back in 2008. Even then, because – in general – only long-haul BA flights went from Terminal 4, I was not a regular visitor. If I’m honest, I didn’t recognise a thing apart from the general layout. 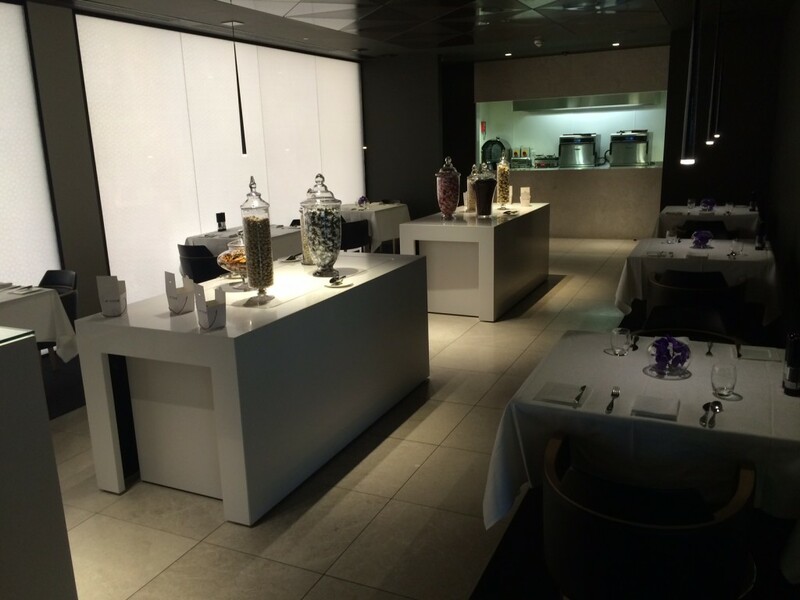 Qatar Airways makes a big play of its Premium Lounge in Terminal 4. It is only open to Qatar Airways or other oneworld airline passengers holding a First or Business Class ticket. 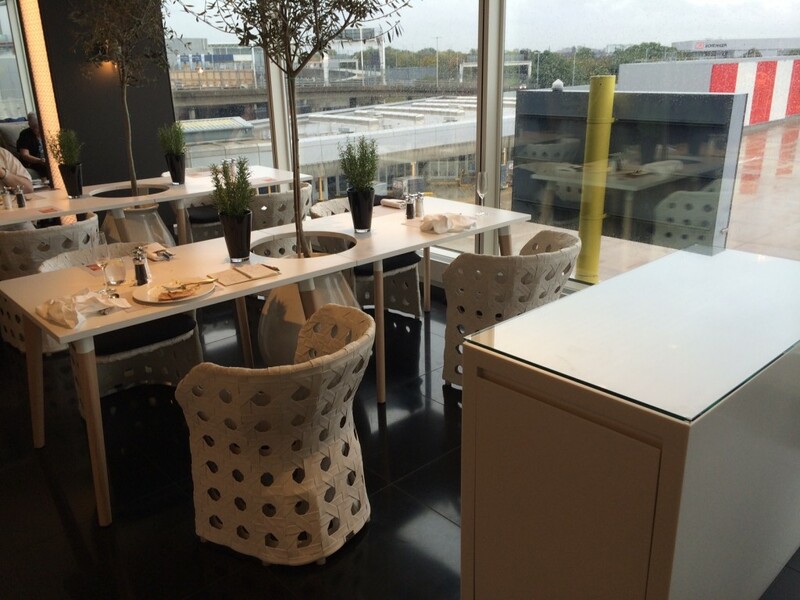 If you are travelling in economy but have oneworld status, you must use the SkyTeam lounge which I reviewed on Monday. In my experience, when an airline has a combined First and Business Class lounge, it usually operates at the level of a Business Class lounge. The Emirates lounge in Terminal 3 is a good example of this, as indeed is the SkyTeam lounge. The First Class area of the old Star Alliance lounge in Terminal 1 was a bit of a joke and, apart from more chance of finding a seat, had very little to offer. Qatar appears to have decided against this and is effectively running it like an exclusive First Class lounge but one which business class passengers can also enter. As Qatar only has six flights out of Heathrow each day, it is unlikely that more than 150 people pass through the lounge. It is effectively like the British Airways Concorde Room but with more daylight. 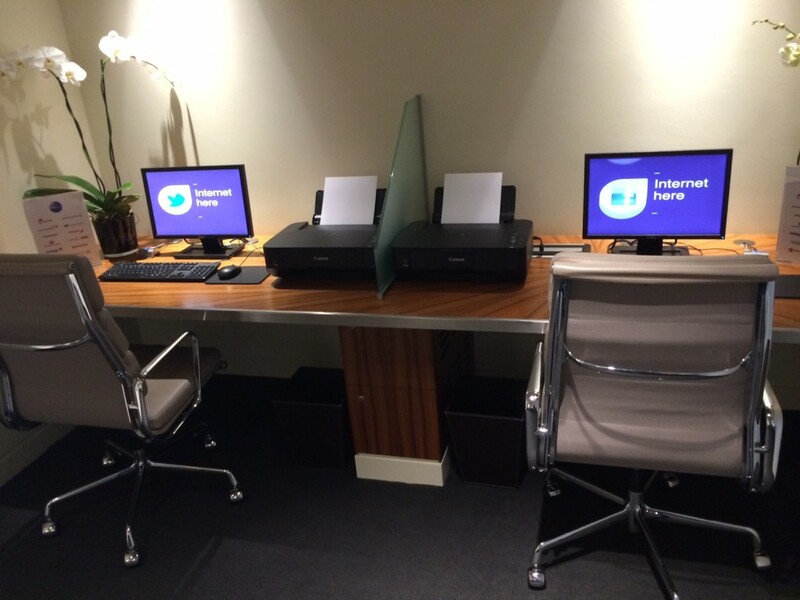 Instead of a reception desk, you are greeting by the equivalent of a restaurant maître d’ who checks your boarding pass and will store your bag and coat if required. It is a very civilised environment. Should you plan to turn up with a group of friends and get wasted, it is not the lounge for you! Newspapers and magazines are laid out on small tables throughout the lounge. The magazine selection is not a patch on the British Airways Terminal 5 offering, but on a par with any other lounge with similar visitor numbers. I did end up nipping out to buy a copy of Bloomberg Businessweek from WH Smith (if you have not read this since Bloomberg bought it, I thoroughly recommend giving it another go). You are then forced to turn right into a wide corridor, before the lounge opens out at their impressive bar and casual dining area. 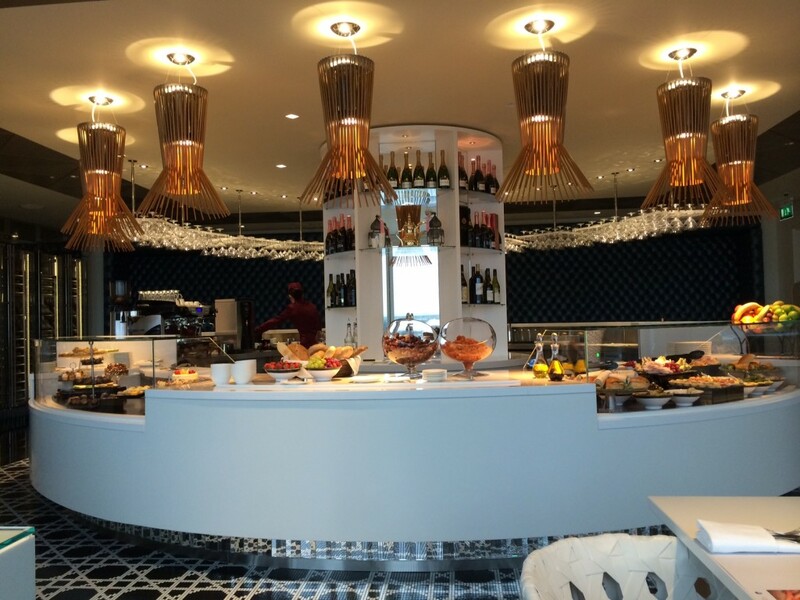 There is no buffet here – you can either order food from the menu or ask for things from the cold items on display. Note that this area does not overlook the main apron – that is on the other side of the terminal. 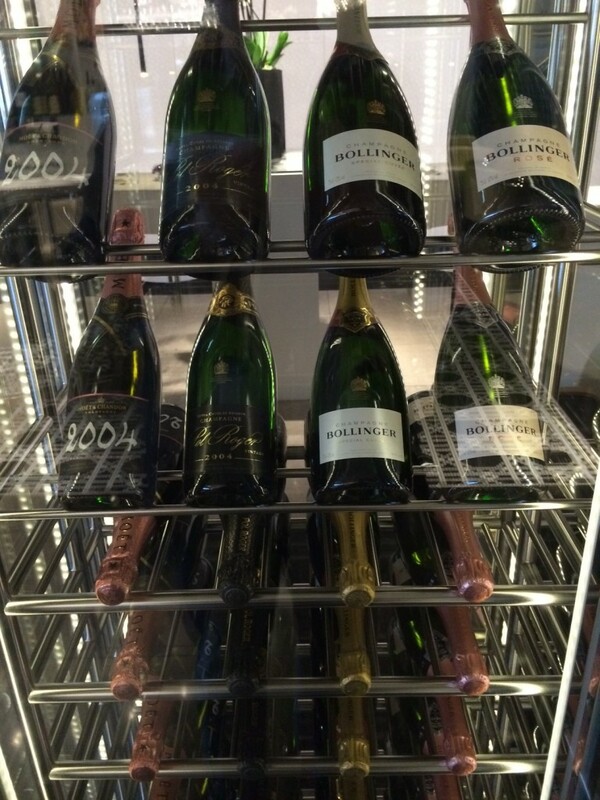 Your options are Bollinger Special Cuvee, Pol Roger Brut Vintage 2004, Moet & Chandon Grand Vintage Rose 2004 and Bollinger Rose Brut. I went with the latter …. The food here is where the lounge really scores. I have never been impressed by food in the British Airways Concorde Room. The Lufthansa First Class Terminal in Frankfurt still serves the best lounge food I have ever had. However, the Qatar Premium Lounge food was impressive – especially as I was there as a business class and not First Class passenger. There is a full wine list available, including dessert wines, but I decided to stick with the champagne. This was good food. 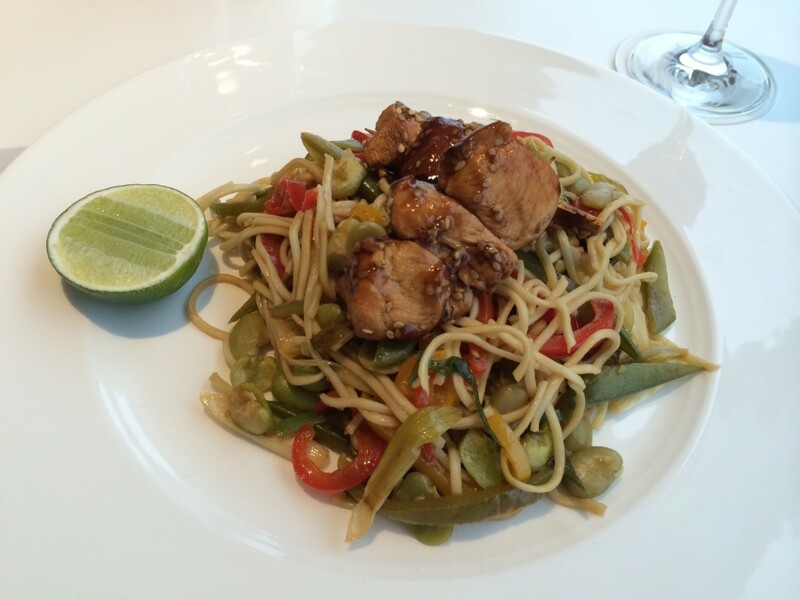 Simple stuff (easy to prepare in a small kitchen) but well executed and well presented. There is variety of light and heavy options, with Arabian selections as well. Mini beef burgers, tuna nicoise salad, salmon risotto, Thai laksa rice, king prawn linguini and Za’atar roasted lamb neck (which, for novelty value, I should probably have tried) were also on offer. It’s an oryx, before you ask, part of the antelope family. Overall, this is a very smart and classy lounge, where you can happily enjoy a quiet drink and a restaurant quality meal before your flight. I personally preferred it to the British Airways Concorde Room where I was two weeks earlier but comparisons are slightly unfair – the Concorde Room handles a magnitude of passengers more. For food and drink in a business class lounge, it is easily better than anything else I know at Heathrow (the Virgin Clubhouse, where I have not been for a few years, is undoubtedly more fun but I doubt the food and drink can match this). I am surprised that Emirates does not have something like this instead of their canteen-style lounge, albeit that does offer direct boarding of your aircraft. 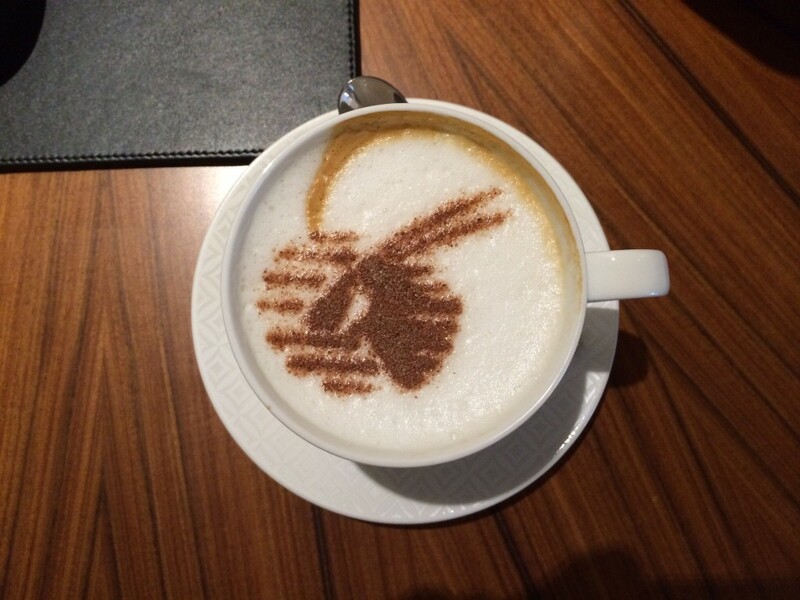 My Qatar Airways flight report will follow in a day or so …. 20,000 Etihad Guest miles with their free UK credit card - but where can you go? 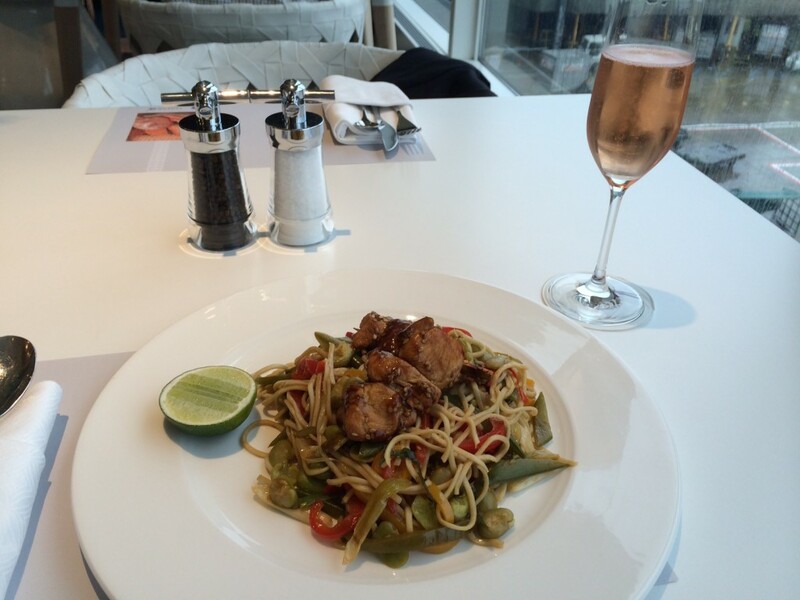 Terminal four at LHR now scores with both this and the Etihad lounge. Two very class acts! Did you notice whether this lounge has showers? It does, the showers and bathrooms are hotel like rather than the school washroom of galleries. Weirdly they are also nicer than the new lounge in Doha. The lounge is pretty identical to the Gulf Air lounge in Terminal 4 which I found to be excellent! Aegean airlines used it when they were flying out of T4 which meant it was dead quiet if you were there during a non Gulf Air flight departure period. Sri Lankan also use the Gulf Air lounge which you can take advantage of if you have Oneworld status. Very classy and really put BA’s lounges to shame although I accept they don’t have to cater for nearly so many people. Yes, see the list under the champagne glass picture. There are also a lot of cold salad items at the bar area which the staff can dish up for you. They also have a nice range of chocs, dried fruit etc which they will make up a box of for you to take onto the plane. Really great lounge. Clubhouse isn’t far off on drinks; not the same range of Champagne but some really good other options, including a great gin. But agree on the food – Qatar doing great. 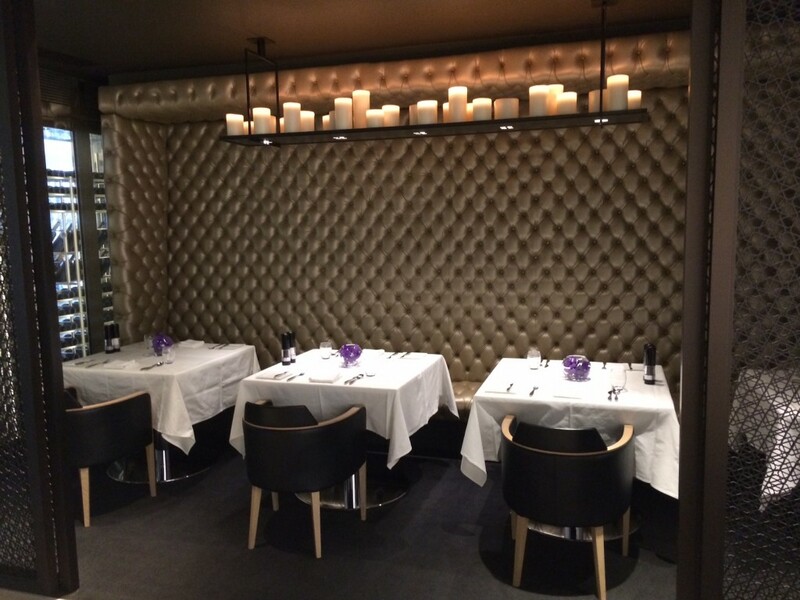 If you were flying Qantas first which lounge would you use? But at that moment it seemed to me that only Qatar passengers travelling first or business were allowed in, and not OW elites flying first or business with other OW airlines. Maybe I got it wrong though. It is ‘oneworld First or Business Class’ ticket holders as well Qatar premium ticket holders. This means you must be flying on another oneworld airline out of Terminal 4. Flying a non-oneworld airline does not count. Interesting, next time I fly Sri Lankan I can try both this and Gulf so may plan a 3 or 4hr layover at LHR. It does look quite impressive particularly for business class passengers. Nice review. Well done!!! It is a very nice lounge indeed. I think it’s a great environment and vibe. Food is really impressive, but not quite up to the standard you can sometimes get in the CCR – which I think is the problem: BA is just so frustratingly inconsistent, and QR wisely chooses to do simpler stuff consistuently excellently. Showers are a bit rubbish – they haven’t managed to fix the oscillating temperature problem BA showers in T4 always used to have. Do groups turn up st other lounge’s and get “wasted”” ? Great review Robert! I am flying to Doha on Tuesday at 10.50am in J Class. What are the opening hours of their T4 Premium lounge please? Do they have an arrival lounge at Heathrow too? No arrivals lounge as far as I know, but as I came into Zurich on the return I am not 100% certain. Thanks Rob – looks good, I will be flying out of T5 with BA in J soon, I would have made the trek to T4 to check it out but from I’m reading above it’s only for those departing T4?